Heyoooo, it's that time of the month again...(albeit a little late)....Daring bakers! 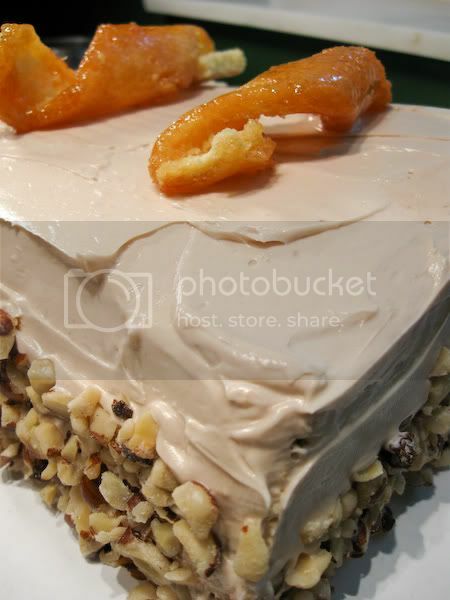 So basically the Dobos Torte is a sponge layer cake, layered with buttercream, and topped with caramel-coated pieces of cake. The torte itself was really easy, but man...that caramel piece gave me sooo much trouble. Beat the egg yolks and 2/3 of a cup of the sugar until it's thick and lighter in color. 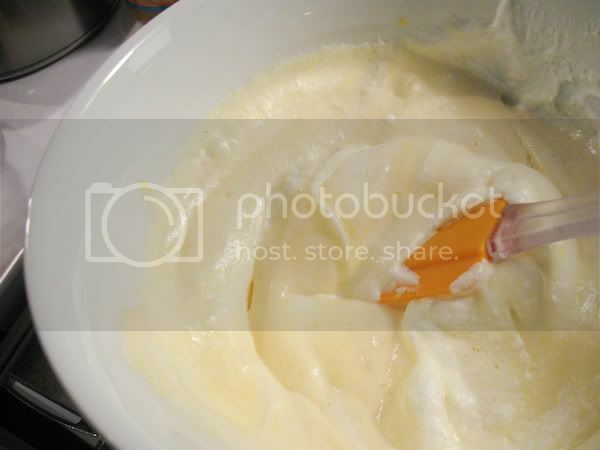 In another bowl, whip the egg whites until soft peaks form. Beat in the rest of the sugar and beat until stiff, shiny peaks form. Fold the egg whites into the yolks. Slowly fold in the flour and salt. Then bake for about 5-10 minutes, or until the cake is slightly browned on the edges. 1 tablespoon of NEUTRAL oil. 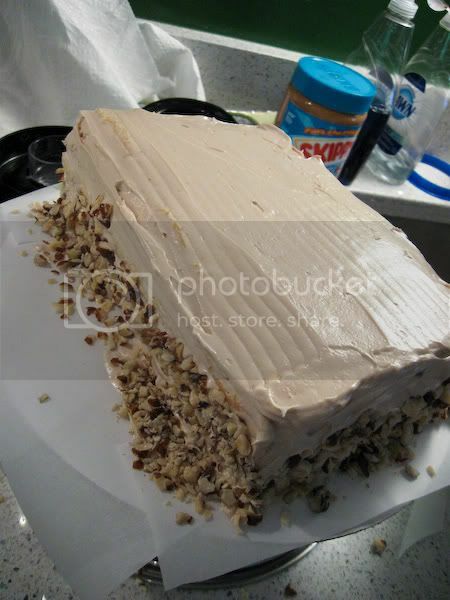 "1.Choose the best-looking cake layer for the caramel top. 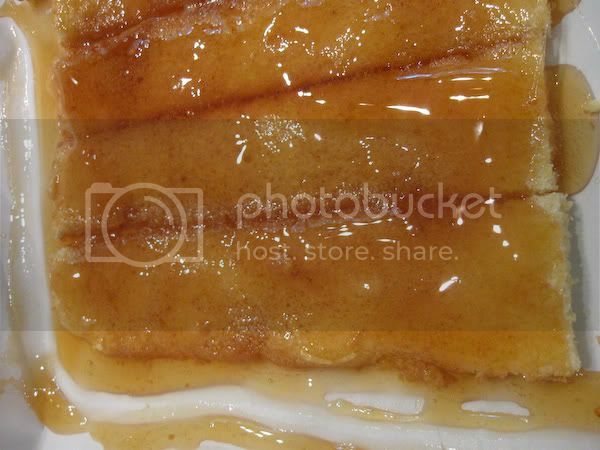 To make the caramel topping: Line a jellyroll pan with parchment paper and butter the paper. 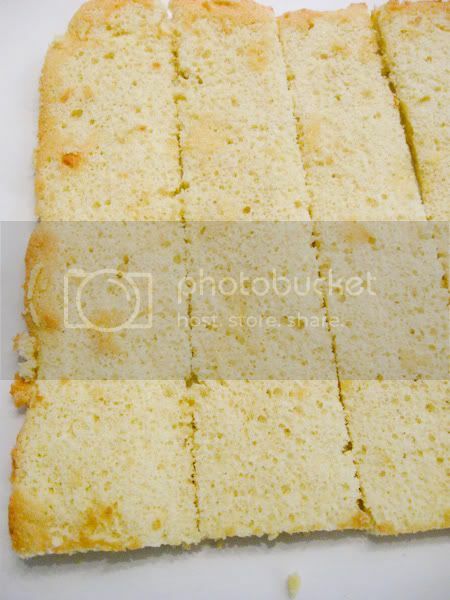 Place the reserved cake layer on the paper. Score the cake into 12 equal wedges. Lightly oil a thin, sharp knife and an offset metal spatula. 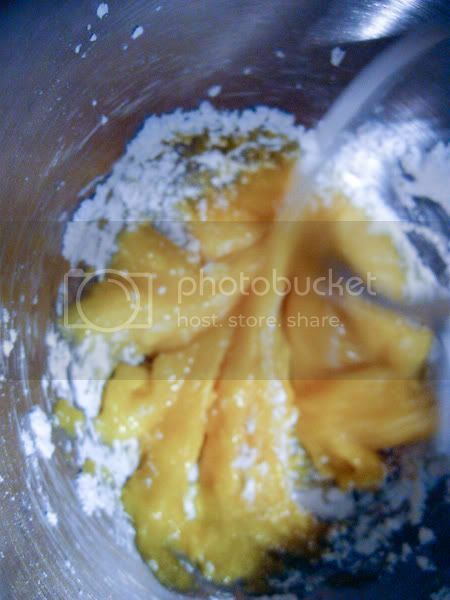 2.Stir the sugar, water and lemon juice in a small saucepan. 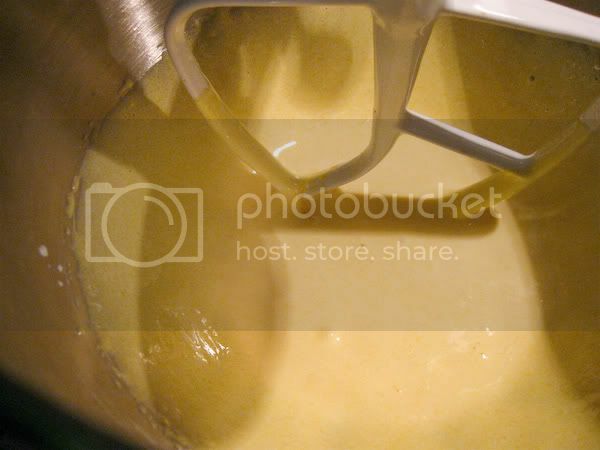 Bring to a boil over a medium heat, stirring often to dissolve the sugar. Once dissolved into a smooth syrup, turn the heat up to high and boil without stirring, swirling the pan by the handle occasionally and washing down any sugar crystals on the sides of the pan with a wet brush until the syrup has turned into an amber-coloured caramel. 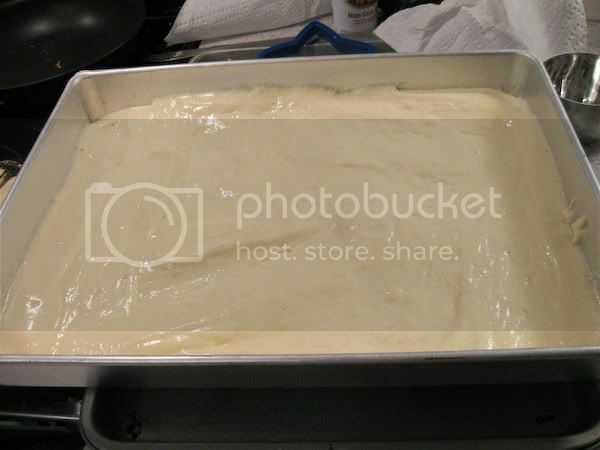 3.The top layer is perhaps the hardest part of the whole cake so make sure you have a oiled, hot offset spatula ready. I also find it helps if the cake layer hasn't just been taken out of the refrigerator. I made mine ahead of time and the cake layer was cold and the toffee set very, very quickly—too quickly for me to spread it. Immediately pour all of the hot caramel over the cake layer. You will have some leftover most probably but more is better than less and you can always make nice toffee pattern using the extra to decorate. 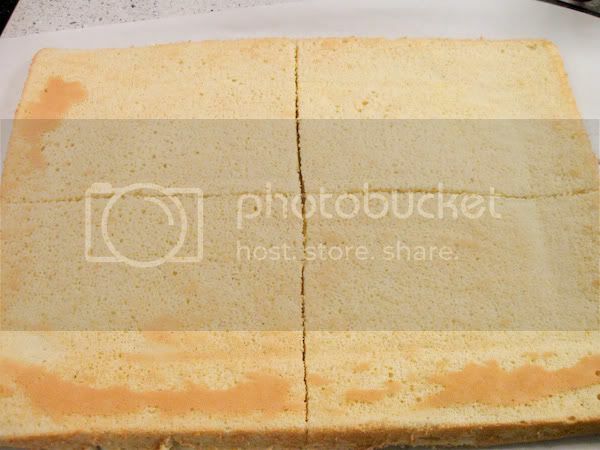 Using the offset spatula, quickly spread the caramel evenly to the edge of the cake layer. Let cool until beginning to set, about 30 seconds. Using the tip of the hot oiled knife (keep re-oiling this with a pastry brush between cutting), cut through the scored marks to divide the caramel layer into 12 equal wedges. Cool another minute or so, then use the edge of the knife to completely cut and separate the wedges using one firm slice movement (rather than rocking back and forth which may produce toffee strands). Cool completely." Cake layer, buttercream, rinse, repeat. Then top with the caramel in whatever fashion you choose. 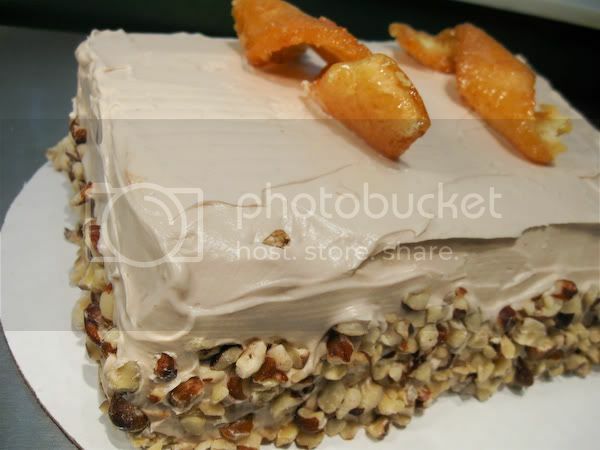 I sprinkled ground hazelnuts on each layer, and pressed chopped nuts around the base of the cake. 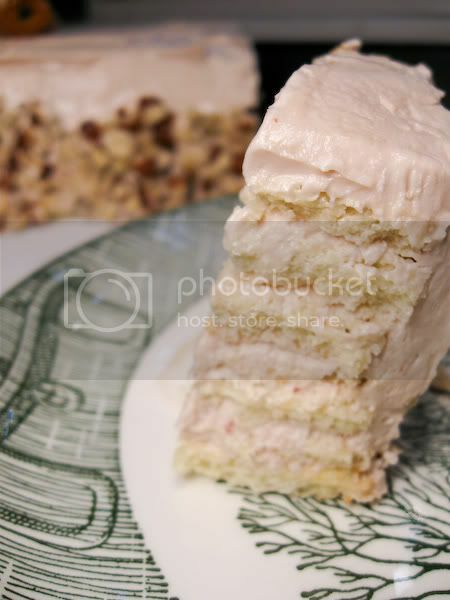 Refrigerate the cake, but let it come to about room temperature before cutting. so. i don't want to be a vegan anymore. this looks absolutely amazing and sugary and delicious. Inspiration tastes like rainbows...and bread.